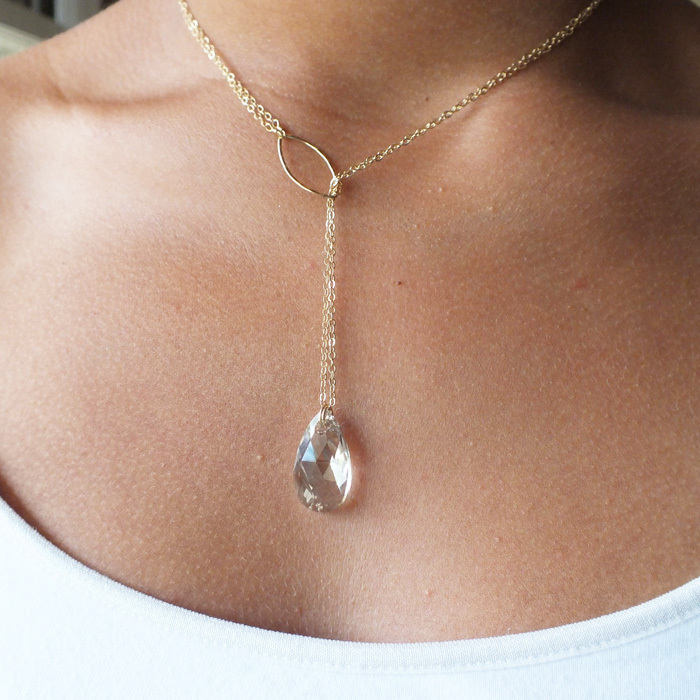 A beautiful champagne Swarovski crystal hangs from 34″ of gold filled or sterling cable chain accented by a hammered gold filled or silver marquise link. Wear the necklace long by slipping over the head or try it as a traditional lariat by looping the crystal through the hammered ring. Select from four crystal colors at checkout. This a fun piece to change up your look, wear alone or layer with other favorites.Also available in sterling silver…just note crystal and metal preference at checkout.